Are You Labeled an 'At Risk' Student? In the college financial aid arena, the lion’s share of attention is given to academic and athletic scholarships. But there are other scholarship programs dedicated to servicing the needs of particular student groups, such as women and minorities, and students from low income households or disadvantaged backgrounds. These scholarship programs have been developed to motivate and support college aged students who may not otherwise have the resources, or the inclination, to pursue a college education. What sets these programs apart from more traditional scholarship opportunities, is the emphasis on a student’s background and personal history as criteria for the final award determination. College-bound students who are considered “at risk”, or from disadvantaged backgrounds, may find that there are more scholarship opportunities dedicated to their needs than they at first imagined. Students who are members of an ethnic minority that has a college completion rate far below the national average. Students with disabilities that may keep them from completing a college education. Students from low income households where there is a greater than average need for financial assistance. Students who are migrant farm laborers, or the children of migrant farm laborers. Students from inner cities and low income communities. Students who are the first in their family to attend college. In the most general terms, “at risk” students are those whose income falls below the designated national poverty level, or whose cultural or family background has placed them at an educational disadvantage. This includes women, ethnic minorities, single parents, and first generation college students. Students who fall into any one of these categories may be eligible for an “at risk” scholarship. Scholarship programs dedicated to the needs of “at risk” students are sponsored by a variety of sources, including charitable foundations, businesses and corporations, federal and state governments, and colleges and universities. The eligibility criteria for these scholarships tends to be highly specific, and will greatly vary between programs. Students should be prepared to do a fair amount of research in order to find the scholarship program that is best suited to their circumstances. The following selection of scholarships should better illustrate the types of financial aid programs that are available for “at risk” or “disadvantaged” students. The Idaho Minority/At Risk Scholarship – This is an example of a state-based “at risk” scholarship. The Idaho state legislature developed this program to help talented college aged students who are “at risk” of failing to complete a college education due to their cultural, financial or physical circumstances. To be eligible, students must be residents of Idaho who are planning to attend a state college or university. Applicants must meet three of the following criteria; be a first generation college student, be disabled, be a migrant farm worker, be a member of an ethnic minority that has been historically underrepresented in higher education, or come from a low income household. The maximum annual award is $3000. The Dell Scholars Program – Funded by a generous donation from the Michael and Susan Dell Foundation, the Dell Scholars Program awards scholarships to low income and “at risk” students who have demonstrated a determination to succeed in their educational goals. The purpose of the program is to give low income students a better chance at succeeding in college by alleviating many of their financial burdens. The maximum award is $20,000 to be disbursed over the course of six years of college enrollment. The Winners for Life Foundation – Winners for Life is a charitable foundation that partners with other organizations to provide educational opportunities for “at risk” and “underprivileged” students. These scholarships target students who may not have the family support or financial resources to pursue their post-secondary education. The goal of the program is to motivate and support “at risk” teens, not necessarily to reward “A” students. The foundation sponsors more than 100 scholarships a year. Scholarships are administered by participating schools, and interested students should contact their school counselors and college advisers for application information. The Project STARS Scholarship – This is another state-based scholarship program, supported by the Stanley G Tate Prepaid College Foundation. The program awards scholarships to low income and “at risk” students who may not otherwise have the opportunity to go to college. The foundation also supports scholarships in recognition of Hispanic Heritage Month and Black History Month. Over the course of its history, the STARS project has awarded more the 25,000 scholarships to deserving students. Take Stock In Children – This Florida based charitable foundation was created in 1995 to help low income students escape the cycle of poverty through education. 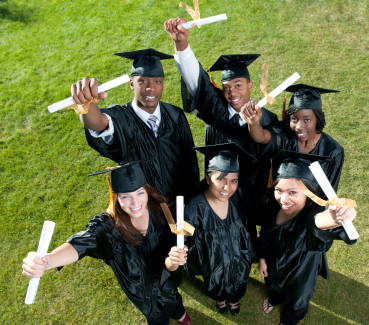 The organization provides annual scholarship opportunities to low income, “at risk”, and minority students who may not otherwise be able to pursue their educational ambitions. Take Stock in Children also provides mentors for students from disadvantaged backgrounds, to help them transition into college and to improve their opportunities for success. The College Scholarship for Homeless Youth – This unique program is sponsored by the National Clearing House on Families & Youth, the Give US Your Poor Foundation, and the Horatio Alger Association. The program provides scholarships to homeless, formerly homeless, and “at risk” students. Applicants must be full time high school seniors who are preparing to graduate and enroll in a bachelor’s program at an accredited college or university. The scholarship awards range from $2500 to $20,000. The drop out rate for low income and “at risk’ students is a growing problem in the United States, and there is a national push to encourage and support students from disadvantaged backgrounds to persevere and pursue a college education. Through education, students can break the cycle of poverty, and create a brighter and more rewarding future for themselves and their families. Those interested in scholarship opportunities for “at risk” or underrepresented students should also refer to our sections on scholarships for minorities , scholarships for low income students, and scholarships for students with disabilities.